2 weeks in a row? Say it isn't so! Here we go! (And, honestly, I didn't intend to rhyme so much)This year Ryan Reynolds was named sexiest man alive by People magazine. I do think that Mr. Reynolds is cute. But sexiest man alive? Not so sure… I’ll keep pulling for Gerard Butler! 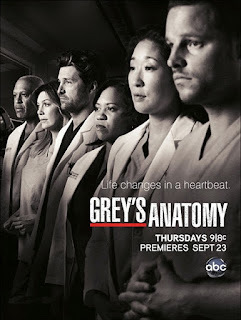 The creator or Grey’s Anatomy has recently hinted that next season there will be a musical episode. Sure, musical episodes work great with comedy shows—such as Scrubs… But I’m not sure how great it’ll be on a drama show like Grey’s Anatomy. Oh well—it's not like I watch it anymore anyway. This last week Oprah did her annual (and final?) 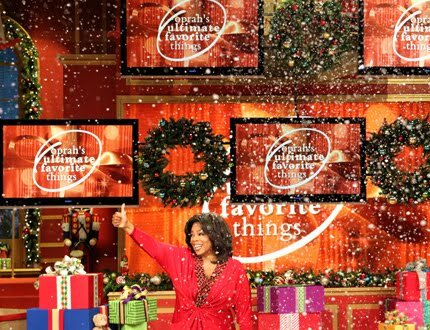 “Oprah’s Favorite Things” episode. The episode where she gives audience members gifts that cost ridiculous amounts of money. All because she is so charitable. Too bad she isn’t rich enough to give everyone in the United States something. Or is she?!? But—SURPRISE! 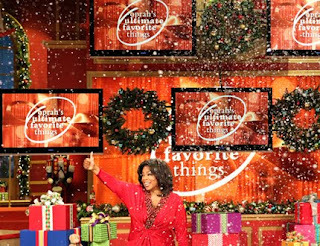 She didn’t just have one episode of favorite things—she had 2. That’s right. 2 days of giving out ridiculous gifts. Here are some things the audience received: iPads, diamond earrings/watches, 2012 VW Beetle(that’s right, a new car), digital camera, 3D TV, 5 year subscription to Netflix, designer brand clothing/purses/shoes, new books and cd’s, and a 7 day cruise. I knew I should have signed up to go see her show… oh well. wtf? greys anat goes musical? i think someone's on drugs. ridiculous. When a show has a "musical" episode, it usually signals that the show should end. Because the writers have no more ideas. Man, I was pulling for Alan. I'll just say it-- my husband is the sexiest man alive. However, when I was a single lady (cue Beyonce music), I found Ryan Reynolds super attractive. I'm ok with this years choice. Gerard Butler would have also gotten my vote. Seriously, Grey's Anatomy just needs to quit. They will never be Scrubs. Scrubs is funny. Grey's Anatomy has lesbians. The end. Oprah. Unfortunatly, I can only think of super hatful things to say about her. And I don't want to have to apologize to Jesus later, although He might secretly think the same things... Hmmmm. I should stop. It's past my bedtime.